This is the first post in a series that attempts to think outside the box on what a profitable permaculture farm looks like by looking at products that can still be profitable, but aren't food. This is not intended for people that are just starting out in permaculture, but for people who are already reasonably versed. Of course, everyone can get something out of this...just know that if you get confused by the language or terms used, you might need to do a little research or better yet, ask some questions in the comments below. The first thing I'd like to cover is large non-food producing over-story trees. The market for such products is largely for high quality timber but there are other products. Farmers don't usually have a retirement program. How do you plan for the end of your life when you draw income from your own labor? What about building a biological savings account? As a design-tool it obviously shouldn't be viewed one-dimensionally. In stacking functions, a slow growing large canopy shade tree could be used in paddocks near your watering station in hot dry summer climates, such as Colorado. These large trees provide deep shade in the summer and clear the canopy for winter. Taking advantage of this, you can keep a building cool in summer and not block solar gain in the winter. This is important in a state like Colorado that has such extreme seasonal temperature difference. Planting these trees specifically for harvesting high quality timber in 15-30 years is investing in your own or you children's future. Many could be harvested 5-10 years before retirement and stacked to naturally age. This wood brings a much higher premium as it's much easier to work than kiln-dried wood as the lignins have time to break down. 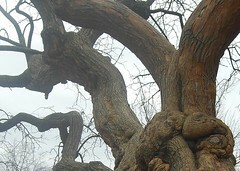 Most species could be treated as a coppice, meaning future generations can still enjoy the trees. There is also a whole other subset of large over-story trees, I will cover, that can be used to harvest sweet syrups. This is still a food product but still fits the planning for the long term future outlined in this post. So, now I'm going to give some example species and their many other uses. Don't take these as the definitive work, they are just species I've studied for my own research. I'm sure many other species could be used for this function. Alder - Alders are nitrogen fixers, can be tapped for syrup, some produce edible catkins and the wood is highly prized for the solid body instruments. 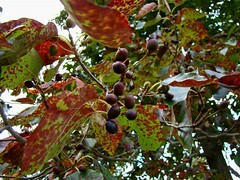 Western Soapberry - It's a workable hardwood. It's unpalatable to livestock making it usable in a paddock, it's fruit contains 37% soponins and is used as a laundry detergent substitute. Black Gum - Flowers are great bee forage, it propagates easily from seed, very tough wood commonly used for making mauls and hammers. 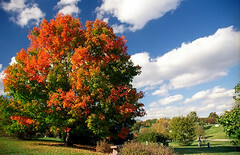 Maples - Can be tapped for syrup at 30-40 years of age, desirable wood that propagates well from seed. 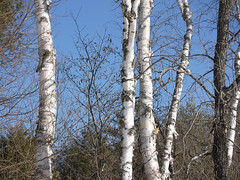 Birch - Can be tapped for syrup, desirable wood and propagates well from seed. 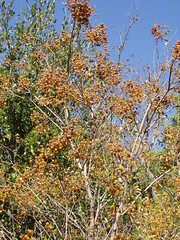 Orange Osage - Produces edible seeds, it's prized by bow makers and instrument makers alike. Bark can produce a natural yellow dye. 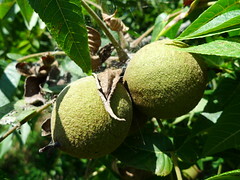 Black Walnut - A prized wood especially when air dried, edible nut, husks produce a natural ink and dye. 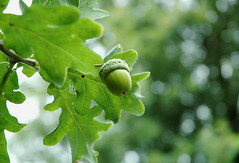 Oak - Edible nut, prized wood, white oak is used for basket weaving. As a wood carver and wood worker myself, I can tell you that most hardwood species can be turned into beautiful, sell-able art. This post is a continuation of the post "Dreaming Big". Please read that to get the context behind this post. This post is longer than most of my others, but I promise you will get something out of it. So, if you normally avoid longer articles, I encourage you to break the habit and take your time on this one. I didn't fully realize, until I was an adult, how much I struggle with anxiety. I just wasn't self aware enough to put my finger on the constant, grinding insecurity I felt nearly all the time. I didn't understand that certain things triggered it. I didn't understand that it could be controlled. When I was a teen, my anxiety reached the point of throwing up regularly and was told by a Doctor to take a Tai Chi class and listen to some relaxation tapes. I didn't find the Tai Chi very helpful, but the relaxation tapes helped a lot. Over the years I've built up an arsenal of things to help me combat my anxiety. This last year has given me a lot of growth and understanding of my stress. I stumbled upon an article discussing research that seems to indicate people with an A blood type (the type I have) are more susceptible to high levels of the stress hormone cortisol. This isn't the magic bullet to solving all my stress, but it lead me to more strategies for dealing with cortisol levels. I would absolutely love to incorporate as many of the following into the farm. Call it an agro-tourism meets relaxation retreat. Meditation - I'm not really sure I even enjoy meditation, but it works. In fact, when my anxiety is spiraling out of control, it's often the one thing that I can count on to put the breaks on enough for other things to be effective. I personally use a Buddhist mediation app for my phone. I find that I need to occupy my mind with a combination of sound, breathing and a phrase for it to work consistently. The app provides a timed meditation, a pleasant phrase and has a ringing bell sound (actually little finger cymbals) that helps keep my mind focusing on relaxing. It's hard to describe the feeling of achieving good meditation. Some studies have said monks are able to, on command, produce brain activity similar to experiencing love. If I'm having trouble slipping into relaxation during a session, I will spend some time thinking about the people I love most to get me over the edge. Here is a great article from The Atlantic on the science of meditation and it's many health benefits. Deep Breathing - Part of my anxiety leads to a pounding sensation in my chest and likely linked to sporadic high blood pressure for me. I've found that deep breathing can really help reduce this feeling and actually lower my blood pressure. This personal discovery also happens to be backed up with some great science and I'd recommend it to just about anyone (not just people suffering from anxiety) as a way to calm the body down. It's simpler than you think. Breathe in for four counts and out for eight. That's it. Autogenic Training - I didn't know what it was called at the time, but the tape I was told to get at the pharmacy by the doctor was a guided relaxation called Autogenic Training. A calm voice guides you through concentrating on relaxing each part of your body one at a time. If I'm wound up to the point of nervous break down, this works to bring me back to base line. I, now, mostly rely on this for nights when I just can't fall a sleep. Here is a great free Relaxation MP3 that is Creative Commons and on Archive.org. Yoga - If I go to a class, I'm often the only male there and if there are other males, they are young and lean. Yes, I feel awkward. Yes, I feel fat. Yes, I still do it. More often than not, I just do yoga to a video I found on Netflix once and haven't found any that I like better. It's not on Netfilx any more but it's available to stream using amazon prime. The yoga itself is relaxing, but the cool down at the end is the payoff for me. After all that stretching and moving, there is a short, guided relaxation that just sends me to nirvana. Yoga tends to have longer lasting effects on my mood than other things. I need to do it more often than I do. Here is a study showing how yoga reduces the production of stress hormones in the body. Massage - For around 5 years now I've had a membership to Massage Envy and have made full use of it. I'm not endorsing their business, but I will endorse massage. Because of how my stress manifests itself physically, I get tension knots in my neck back and shoulders. I prefer deep tissue massage in longer sessions. Not only is it relaxing, it's essential for me to keep on top of my tension pain. The positive benefits of massage have been well researched and there are very few risks. This is a fantastic article from the University of Maryland Medical Center about massage. Sauna - One of the most traditional techniques for relaxation and physical recovery is the sauna. In the Finnish culture, in fact, it's a way of life where virtually every home has it's own sauna. The Romans made extensive use of baths that included a Caldarium, similar to modern public saunas. The positive effects of saunas have been confirmed using modern science. One of my favorite health experts Dr. Rhonda Patrick recently covered the benefits of sauna use in this mind blowing video along with her article that includes links to the source studies. Float Tank - I had heard of float tanks more than a few times over the years, but the person who really made me want to try it, and a surprisingly large amount of other people too, was Joe Rogan on his podcast. I've been to The Healing Waters Float Studio three times now and I plan on going back at least a few times every year, if not more. Their sessions begin with an inversion table coupled with binaural beats (see below), then an hour session in the float tank. The inversion table is a great pre-stretch for your spine to aid relaxation when floating. If you've tried meditation before and did achieve relaxation, give it another try in a float tank. I've never had any out of body experiences or hallucinations that some people report. I just find the neutral floating position alleviates any muscle strain. The darkness and quietness clears distraction and the warmth is very relaxing. I've done it where I just let my mind wander and didn't get as much out of it as I did when I actively tried meditation. After an hour of meditative rest in the tank, I feel like I can take on anything. It's an amazing feeling. It's like a reset button that wipes the slate clean. Flotation REST has been well studied and proven a powerful tool for relaxation. This is a great article on the subject. Also, there is some research on the ability to absorb magnesium through the skin. Binaural Beats -This might be the most obscure of the techniques and the one I was most skeptical about. Unfortunately, similar to the flotation therapies, there is a lot of over-hyping of effects. Results such as pain reduction, lucid dreaming, hallucination and increased learning are often promised. I haven't experienced any of those. What I find is that creeping stress at work while I'm at a computer can be alleviated by listening to binaural beats under the podcasts I normally listen to. I don't find it's as impactful as the other techniques but it's something I can do while too busy doing other things. It gets me through till I can try something else. There is scientific research on the positive effects of binaural beats, so don't think it's all hogwash. Art - Everything else I've mentioned I've posted research for. I could find a bunch of studies proving creating or experiencing art helps manage stress, but if you don't believe it all ready, then you've never tried it. I've used creating music, more than anything else in my life, to manage stress but I've also used drawing, calligraphy, carving, DIY projects. sewing and cooking. They all help and I have a blast doing them. If you aren't the creative type you can still enjoy others art. Listen to music, visit the art museum and galleries, or go to a live theater performance. Art is almost universal in having a positive impact. So, just keep it in mind when you are stressed that you might just need to unplug and experience some art to get back to baseline. Exercise - Look, we all know that exercise is good for you. It's important. The best exercise is the one you will actually do. So stop saying you will do it and just do it all ready. OK, in a more practical sense, I encourage you to think outside the box. Many of the things you do everyday could also be exercise. Maybe just doing something manually, that is normally done by a machine, could provide you with some regular exercise and save you money. Diet - I subscribe to the, eat more of the good things and less of the bad things diet with as much diversity as I can. The only point I want to make here is to list some things that help reduce stress hormones in your body and thus aid in dealing with stress: Food high in magnesium such as leafy green vegetables. Foods high in omega-3 fatty acids such as nuts and fatty fish. Foods high in zinc such as pot roast, short ribs, oysters and green-beans. Foods high in antioxidants such as dark chocolate, black tea and fresh fruits...especially berries. Supplementation - do some research and talk to your doctor about low gaba and it's effects on your mind and body. If you suffer from low gaba, there is a supplement that can help. Passion Flower or Maypop extract was shown in a 2001 study to be as effective as oxazepam (a benzodiazepine) in treating general anxiety disorder with very low to no side effects. A wider trial would need to be completed to confirm the results scientifically. I've been taking it recently and was able to pull out of a severe bout with anxiety but that's an anecdote not science. Final disclaimer: I'm not telling you to rush out and try all these things...these are just the things I find that work for me and things I want to incorporate into the farm. Use this advice at your own risk! Please, leave some feedback, I always love getting feedback.